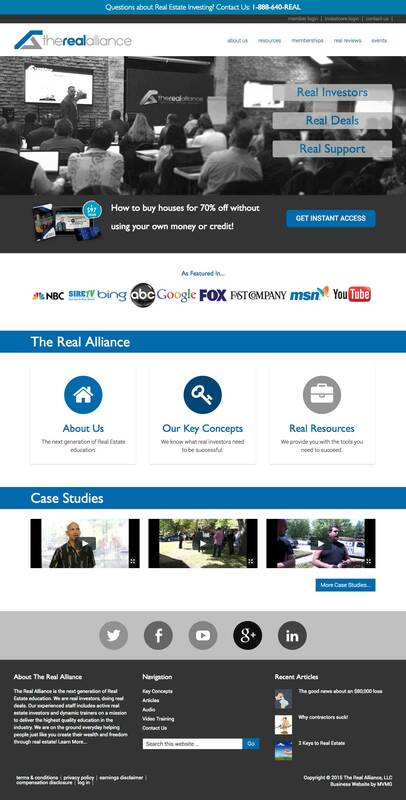 The Real Alliance group provides real estate consulting programs, seminars, video, and more. They approached us to help them give their site a new look and feel as well as integrate responsive design concepts into a WordPress CMS framework. We gave them that and so much more. WordPress based CMS with responsive design. Custom post types to handle multiple resources including podcasts and training materials. Super lightweight, fast, and secure Genesis Framework.